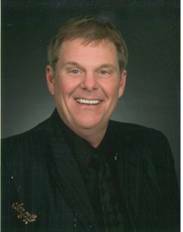 Pastor Dave Hammond is a 1977 graduate of Georgetown College and holds a master’s degree from Morehead State University. When he became Pastor at Faith Baptist Church of Myra in 1991, the church had only twelve members. It now has more than three hundred. Faith Baptist Myra has ranked among the top one hundred churches in Kentucky for the number of baptisms for five of the last six years & has been home to the highly successful Myra Christian Academy since 1999. Dave was inducted into the Scott County High School Hall of Fame in 1998. In 2001, he was honored as bi-vocational pastor of the year by the Kentucky Baptist Convention. In 2007, he represented Kentucky at the Bi-vocational Celebration at Pigeon Forge, Tennessee. In 2008, he again represented the state at the Mid-Continent Bible College Bi-vocational Celebration Conference. Dave’s television ministry, known as “The Winning Life” program, can be seen on two major TV stations, Living Faith TV of Abingdon, Virginia and WPRG channel Five from Pikeville. Dave’s radio program reaches seven major cities through Wilkins Communication Network of Spartanburg, South Carolina and can also be heard daily on three local stations. Together, Pastor Dave and his wife, Kay, have brought a broad based and multi-faceted range of services and ministries to their local community, county, and the entire SouthEast region.